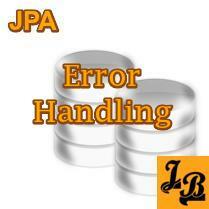 Tutorials on features and aspects of Java Persistence API or JPA. 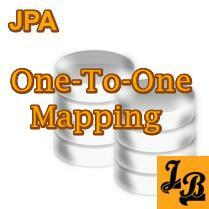 Tutorial describes One to One Mappings in JPA with examples. What are One to One Mappings: One to One mappings between entities refers to those relationships where one record of an entity(say entity-1) is mapped exactly to one record of another entity(say entity-2). Then entity-1 and entity-2 are said to be in a One to One relationship with each other. Or, it can be said that a One to One mapping exists between the two entities. 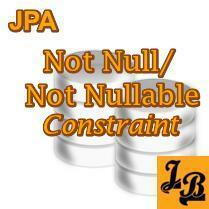 Null constraints in JPA reflect the nullability of a column as defined in the database schema. As such in all database definitions a column is nullable by default. I.e. if a column is not defined as primary key or unique then it is by default nullable. It is to make a column mandatory, i.e. to stop it from accepting null values, that we make it non-nullable. The same logic is reflected in JPA as well. Null constraint can be defined on either an @Column or an @JoinColumn. Then it is most likely that your database does not have even a single record matching your query OR you have too many results being returned. Reverse Engineering of JPA Entities with JBoss Tools Eclipse Plugin. 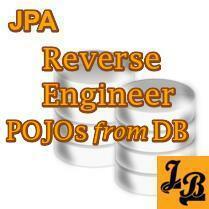 The tutorial below details how to do reverse engineering of Hibernate/JPA POJO entities from database tables. How to setup a JPA Project with a Data Connection for MySQL in Eclipse. 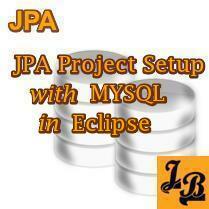 The tutorial below details how to setup a JPA Project in Eclipse. As part of the JPA Project creation a Data Connection to a local MySQL database instance will also be configured. Note – This tutorial has been created using Eclipse Juno. 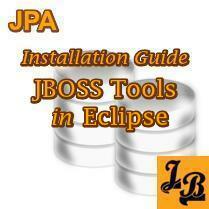 The tutorial below details the steps to install JBoss Tools Eclipse Plugin. Note-Hibernate Tools Plugin, which is now a part of JBoss Tools, gets installed along with JBoss Tools with no extra setup required. Note 2– This tutorial is created using Eclipse Juno.